← We’re having a magical ride on this unicorn! I am happy to report that we have reached an agreement with Tesla that resolves our issues in a way that everyone feels good about! It’s clear there were some misunderstandings that led to this escalating, but I’m just glad that everything has been cleared up. I’ve always been a Tesla fan, and I’m looking forward to getting back to making pots and selling them in my online store. 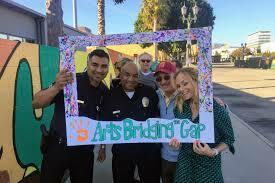 I’d also like to announce today is that I will be designing a mural for the “Arts Bridging The Gap’s LA Street Art Initiative in Los Angeles, CA. Their mission is “to bring top quality arts programs and experiences to children in underserved communities in order to improve their quality of life, academic success and future prospects.” Their murals are painted by underserved youth and LAPD officers! They approached me last week about doing a unicorn mural possibly in Hawthorne, CA near SpaceX headquarters. I grew up in this part of Los Angeles and my father and stepfather both worked in aerospace and defense industries in this very neighborhood. I’m excited about designing a happy, fun work of art for the community. 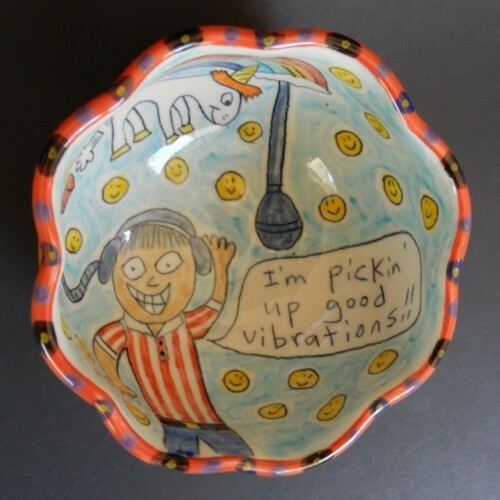 This entry was posted in Art Pots, Elon Musk. Bookmark the permalink.